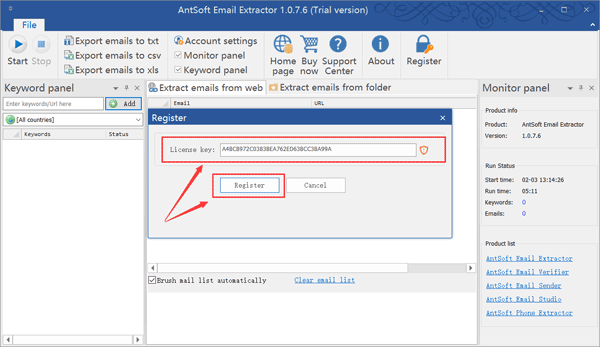 How to activate the AntSoft products on your PC? 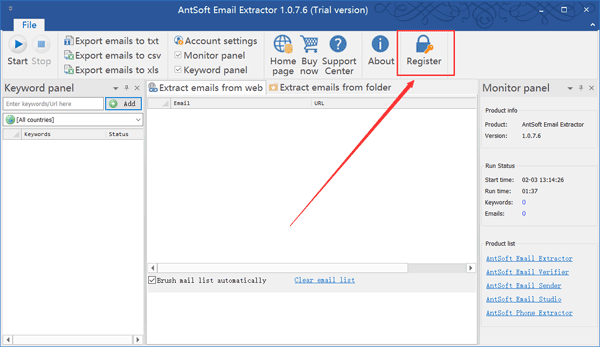 This article will tell you how to activate the AntSoft Email Extractor software. Make sure that the current software is a trial version,press 'Register' button. 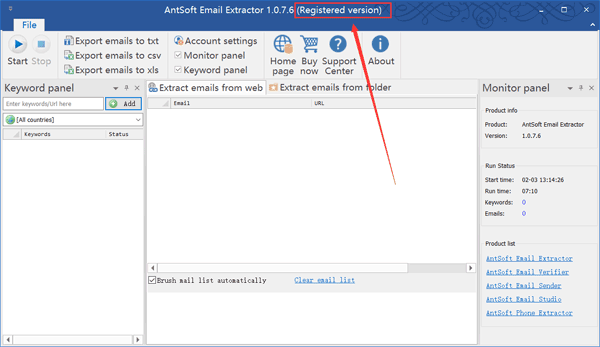 Step 4: press register to finish, the AntSoft Email Extractor software are being activated.